Thanks to those who linked up last week. There were SO many amazing links it was difficult to chose. This week we chose 5 features. Please take a look and click through to see their great items! 1. 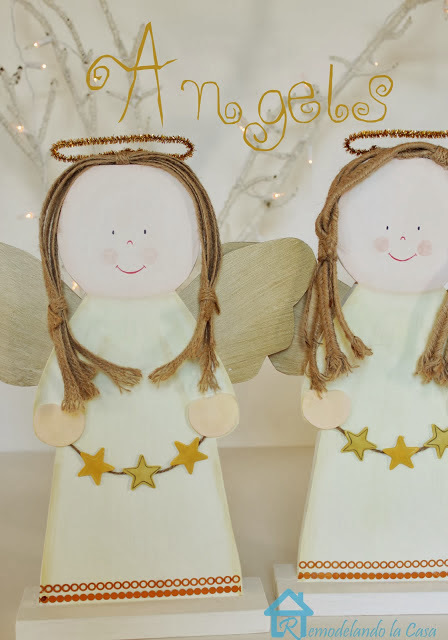 Christina from Remodelando la Casa shared these adorable Wooden Angels and how to make them. 2. 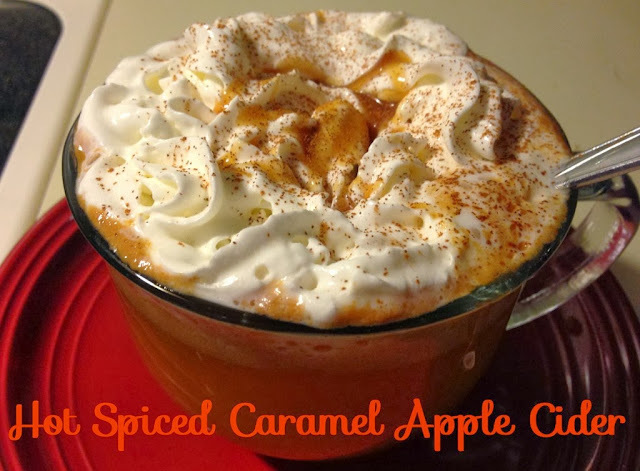 Tenns from New Mama Diaries shared this YUMMY Hot Spiced Caramel Apple Cider recipe. Nothing better than a yummy hot drink in this cold weather time of year. 3. 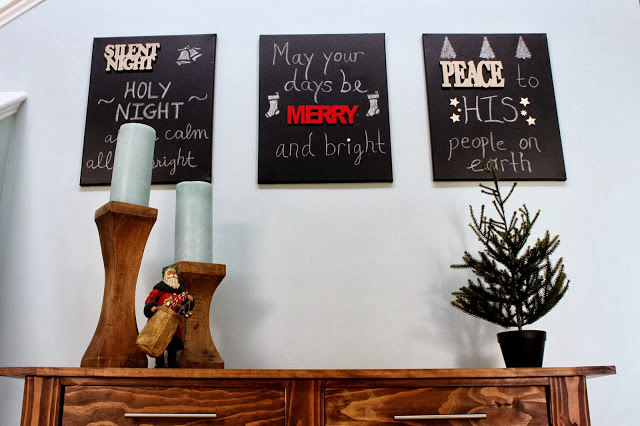 Tasha from Designer Trapped in a Lawyers Body shared her cute Chalkboard Christmas Canvases. These are easy and inexpensive to make. 4. 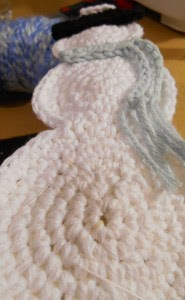 Millie & Kristina from 2 Crochet Hooks shared their pattern for these adorable Snowman. Great easy pattern for the Holidays. 5. 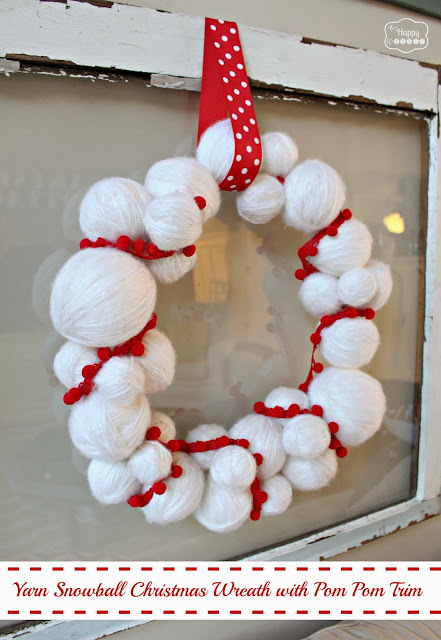 Krista from The Happy Housie shared a Yarn Snowball Christmas Wreath. Great tutorial and more wreath inspiration included too. We would LOVE if you would follow us in at least ONE of the ways we least. Leave a comment and let us know how you followed and we will follow you back! Two link ups below....one for Facebook. Please follow the HOSTS to participate on both! The second will be a Twitter Link Up....(anyone can participate)...Please follow the HOSTS & find at least 3 others to be social with too. Let them know you found them via #WowzaWeekend. Link to your Twitter page. Wait! Where have I been? I didn't know you host a link party! How did I not know that?! That's awesome! Mindy, thanks so much to you and Pam for the party! Love the features! :) Hope you have a happy Friday and a wonderful weekend!